Born in 1974 David Stackenäs started playing guitar at the age of 10. After completing his music studies at the Royal Collage of Music in Stockholm in 1998 he began working freelance in the thriving free improvised music and jazz scene in Sweden. With his acoustic sound and his percussive energy Stackenäs clearly is Sweden’s most creative and original guitar player today. He performs and records in the ensembles ANIMES (with percussionist Raymond Strid and bassist Johan Berthling), TRI-DIM (with reedist Håkon Kornstad and percussionist Ingar Zach), and in duos with reedists Martin Küchen and Mats Gustafsson. In 1999 and 2001 he toured with Mats Gustafsson´s NU-ensemble (with Günther Christmann, Carlos Zingaro, among others) and in October 2000 he did a week of concerts in Ystad, Sweden with the members of Sonic Youth, Loren Mazzacane Connors and Jim O´Rourke. Percussionist Tatsuya Nakatani is originally from Osaka, Japan. 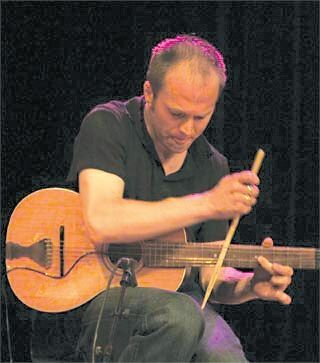 As an improviser and composer now based in the United States, he has created his own unique instrumentation, effectively inventing many instruments and extended techniques. 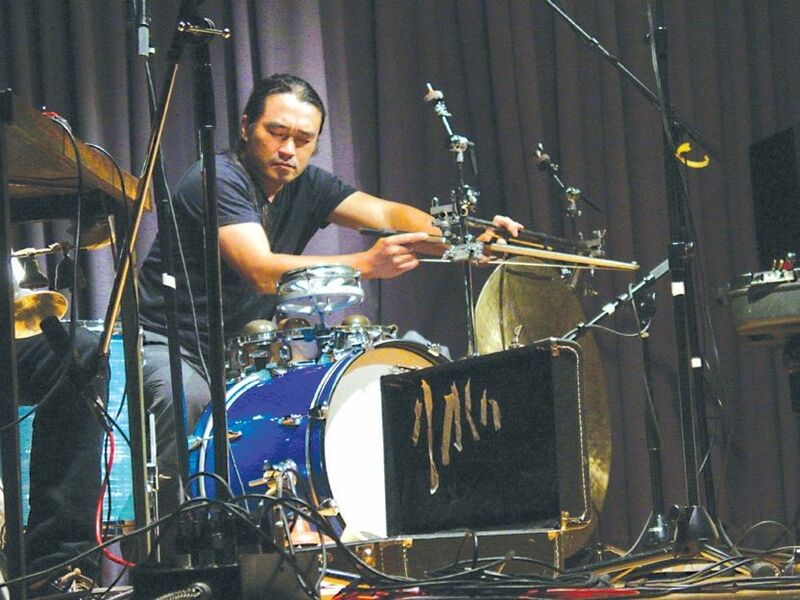 He utilizes drumset, bowed gongs, cymbals, singing bowls, metal objects, bells, and various sticks and bows to create an intense, organic music that defies category or genre. His music is based in improvised / experimental music, jazz, free jazz, rock, and noise, yet retains the sense of space and beauty found in traditional Japanese folk music. In addition to live solo and ensemble performances he works as a sound designer for film and television. He also heads H&H Production, an independent record label and recording studio based in Easton, Pennsylvania. He has collaborated and performed with William Parker, Ken Vandermark, Billy Bang, Frank Lowe, Joe McPhee, Marc Ribot, Peter Brotzmann, Michael Zerang, LaDonna Smith, Davey Williams, Peter Kowald and many others. How Can I Decrease My Energy Use?